Click here to check out the Kohl’s Black Friday Ad! 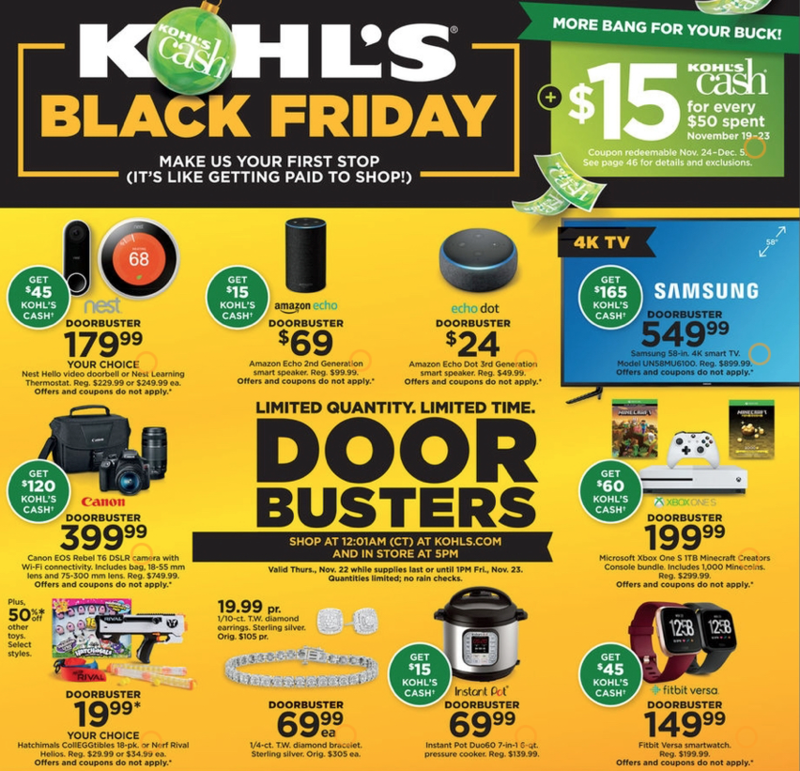 The deals start at 5PM on Thursday (11/22) but many of these deals will also be available on Kohls.com starting on November 19th. Earn $15 in Kohl’s Cash for every $50 spent from November 19-23. If you prefer to shop from the comfort of your home, FreebieShark will be posting all of the HOTTEST online deals on Black Friday and Cyber Monday!